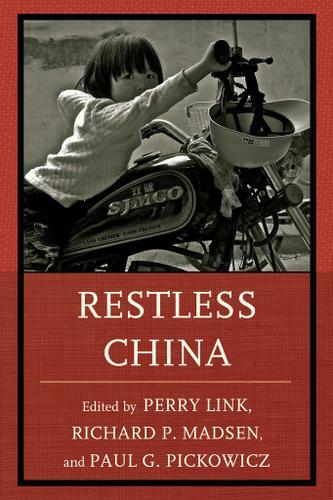 This compelling book explores the explosive pace of change in China and how its citizens are grappling with a dramatically new world, both in the public and private spheres. China’s stratospheric growth has made it the second largest economy in the world—and one of the most unequal. Marxist ideology and socialist ideals have almost completely collapsed, replaced by a combination of materialism and assertive nationalism. The vast migration of labor from countryside to city has continued apace. The pressures of a hypercompetitive market economy are ripping apart the traditional family and threatening the environment. Corruption has reached new heights. The political system is even more rigid, but perhaps more brittle, than a decade ago. There is enormous popular pride in the ascension of China to the rank of global superpower and general satisfaction in the material benefits that the poor as well as the rich have been gaining from an expanding economy. But there is also great restlessness, anger about structural injustice and political corruption, and a search for new forms of spirituality and ethics to replace a collapsing moral order. The question “What does it mean, in the new day, to be Chinese?” lurks just beneath the surface. This unique interdisciplinary book frames this central issue through an innovative set of case studies on such cutting-edge topics as reality dating shows, countercultural invented language, star bloggers, faith healers, and subversive jokes.Contributions by: Jeremy Brown, X. L. Ding, Hsiung Ping-chen, William Jankowiak, Shuyu Kong, Perry Link, Richard P. Madsen, David Moser, Paul G. Pickowicz, Su Xiaokang, Xiao Qiang, Yunxiang Yan, and Yang Lijun.